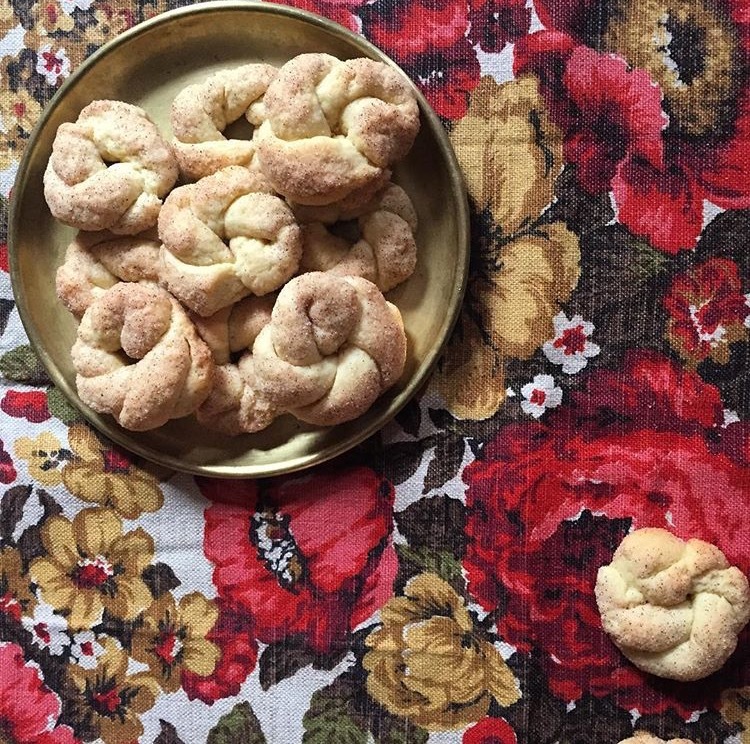 For Jews with Eastern European roots, p’tcha is a controversial and divisive dish. 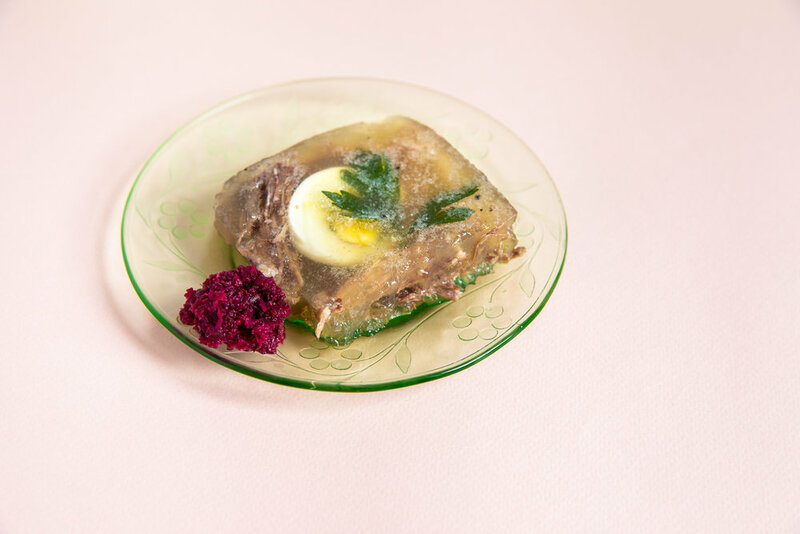 A glistening aspic made with the hoof of a calf or cow, seasoned with garlic, it’s an acquired taste and texture, equally beloved and despised, depending upon who you’re speaking to. For Darra Goldstein, a scholar of Russian literature and a cookbook author, the dish is both dream and nightmare. When she was growing up in Pittsburgh and Chicago, p’tcha held an almost mythical place in her family. It was talked of longingly by her mother Helen and grandmother Clara, who grew up in a shtetl near Vitebsk, in modern day Belarus, with Marc Chagall. Clara’s father owned a butcher shop, that, as the family lore goes, was always filled with local children playing. Somehow, the magic of Chagall’s painting, the lore of the butcher shop, and the remembrances of p’tcha were all strung together into a beautiful memory — something recollected fondly, but never served at the dinner table. The first time Darra encountered it, she was 21, visiting the Soviet Union during the Brezhnev Era, when there was little food on the shelves of supermarkets. Still, Darra’s hosts wanted to impress her. 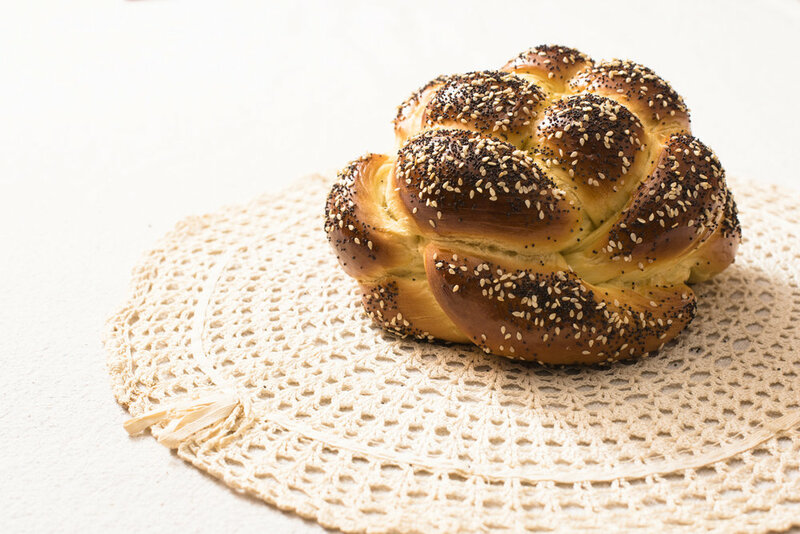 From table to table, she saw kholodets, a treyf cousin of p’tcha sometimes made with pig’s hooves instead of cow’s. Despite the change in ingredients, Darra recognized the dish from her family’s stories. A decade later, while working on her first cookbook, A Taste of Russia, Darra wanted to include a recipe for the dish. She searched for calf’s feet in Palo Alto, where she was living, to no avail. She told her mother about her mission and on a visit, Helen found a slaughterhouse that agreed to provide the hooves. When they went to pick them up, they were still warm, sticky with blood and gore. Unable to bring themselves to clean the hooves, they were dropped at a landfill. Back in California, Darra accepted that she would need to test the recipe with pork trotters. Carrying them home in a red canvas backpack on her bike, she started to feel uneasy, overcome by the physical and metaphorical weight of the six pounds of treyf on her back. Still, she was determined. She committed to testing the recipe quickly and then disposing of it. At three in the morning, she woke up to a nightmare of pigs flying around her cottage. In the morning, she reluctantly finished the recipe, tasted it, and disposed of the rest. The recipe appeared in the book, but the experience left an emotional scar behind. 1. Place the calf’s feet in a large stockpot with the water. Bring to a boil, skimming off any foam that rises to the surface. Simmer the feet, covered, for 1½ hours, then add the short ribs, onion, carrot, salt, peppercorns, allspice, and bay leaves and simmer for another 2½ hours, until the meat is tender. 2. Remove the pot from the heat and allow the broth to cool to room temperature. Then refrigerate it for several hours, until a layer of fat has solidified on the top. Scrape off the fat, then return the pot to low heat and melt the aspic, once again skimming off any foam that rises to the surface. Remove the short ribs from the broth and set aside. Discard the onion, carrot, and calf’s feet. Strain the broth through a double layer of cheesecloth into a large Pyrex pitcher. You should have 2 quarts of liquid. Taste the broth and add more salt, if necessary. Stir the minced garlic into the warm broth. 3. Pour half of the broth (4 cups) into a 9” x 13” glass baking dish and refrigerate until the broth has firmed up, about 1½ hours. Keep the remaining broth at room temperature. Coarsely shred the short ribs, making sure to remove any fat. 4. When the broth has gelled, evenly distribute the shredded meat over it and season liberally with salt and the freshly ground pepper. Then pour the remaining broth over the meat. Arrange the sliced hard boiled eggs in a decorative pattern on top, nudging them slightly, if necessary, to submerge them in the broth. Tuck in a few parsley sprigs for color. 5. Refrigerate the dish for 1½ hours longer, until the broth has fully set. 6. Serve the aspic well chilled, cut into squares. The classic accompaniment is Russian-Style Mustard or horseradish.